Nova Scotia faces many problems with drug and alcohol addiction. When in a stressful or emergency situation it can be difficult to locate a drug rehab center that can help right away. There are treatment solutions available in Nova Scotia, but sometimes they can be hard to locate. Our counselors can help cut the time it takes to locate treatment options throughout the province. Taking the first step to find treatment is very important, as this can be the deciding factor if the person goes to treatment or chooses to keep using. Alcohol and drug rehab centers operate differently from one center to another, but overall have the same purpose of helping people with addictions. It can be very important to find a quality program that can fulfill all the needs of your loved one and give them the best chance to rehabilitate themselves. Our counselors can help cut the time it takes to locate treatment options throughout the province. 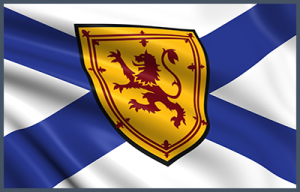 Nova Scotia can provide provincially funded programs and private treatment options, both being able to help rehabilitate a person from drug and alcohol addiction. The subsidized programs typically can have waiting lists, but will come at low cost or no cost for the individual. Private programs do always normally come at a cost. Within Nova Scotia you can also find detox centres, which are normally five to seven day procedures to detox people of the drugs they are taking. This can be helpful if the person is on a large amount of drugs they cannot stop taking immediately. Following the detox process it is very important for the addict to find a drug rehab treatment center in Nova Scotia that can help them finish the rehabilitation process.